Bangkok (VNA) – Thailand’s economy will grow at a rate of less than three percent this year, according to the country’s financial experts. 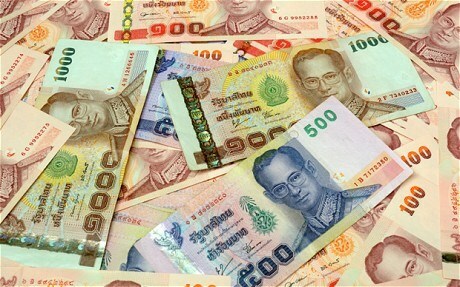 They also warned that the baht value will continue going down, reaching the level of 37 baht to the US dollar by the end of the year. According to Kobsit Silpachai of Kasikorn Bank, Thailand’s economy in the third and fourth quarter of 2016 will expand by less than three percent due to the effects from the slowdown of China’s economy and the decline in global trade. Kobsit warned that Thailand’s exports will stay flat this year. He said the upcoming UK’s referendum on whether it should leave or remain in the European Union will bring short-term risks to Thailand’s economy and the US Federal Reserve’s prospect of raising interest rate may cause capital to flow out of Thailand. Kawee Chukitkasem, vice chairman of the Kasikorn Securities Company, was also of the view that the referendum will have a short-term influence on Thailand’s stock market.